A small self assembly board to allow rapid prototyping of PICAXE-14 circuits. Includes all components including download socket. Purchase microcontroller separately. 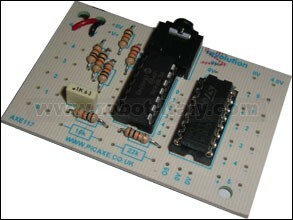 A small self assembly board to allow rapid prototyping of PICAXE-14M circuits. Includes components including download socket and ULN2003 darlington driver. 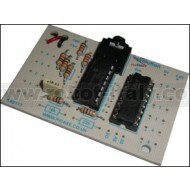 Purchase 14M microcontroller separately.